AMHA would like to introduce the Select 7 Head Coach for the 2013-2014 season, Chris Wigle. Select 7 Tryouts will be during the Novice evaluation skates the morning of Sept 7th and the afternoon of Sept 8th. There will also be one separate try-out on Sept 7th at 2:00pm. 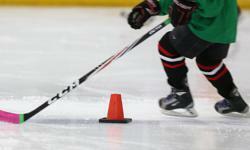 No player is allowed on the ice for tryouts if they have not registered and paid in full. There is a $20 tryout fee that can be paid at the rink, before the Sept 7th 2:00PM Tryout. All players interested in trying out for Select 7 are asked to email the coach, Chris Wigle ([email protected]), prior to tryouts.